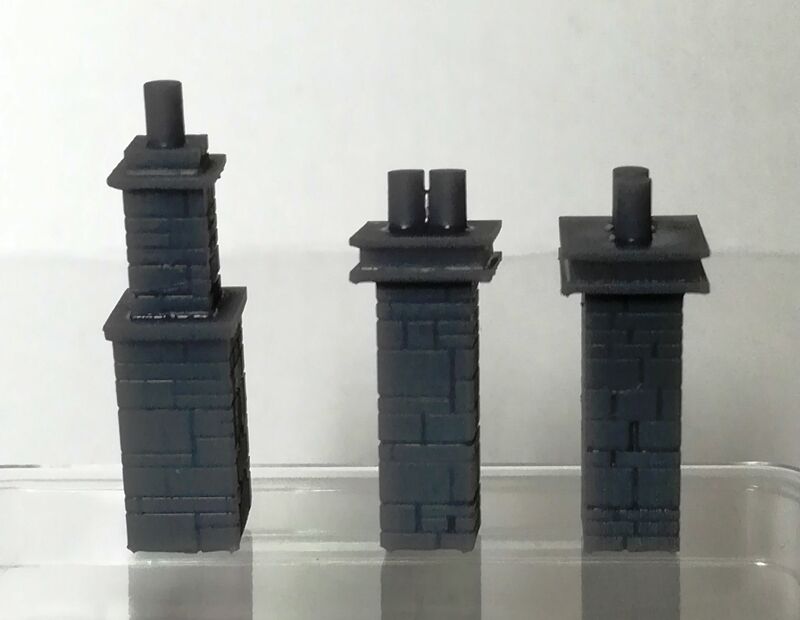 Pack of 3 unpainted 3D printed resin chimneys (as used in our Bridgnorth station kit). Require painting. 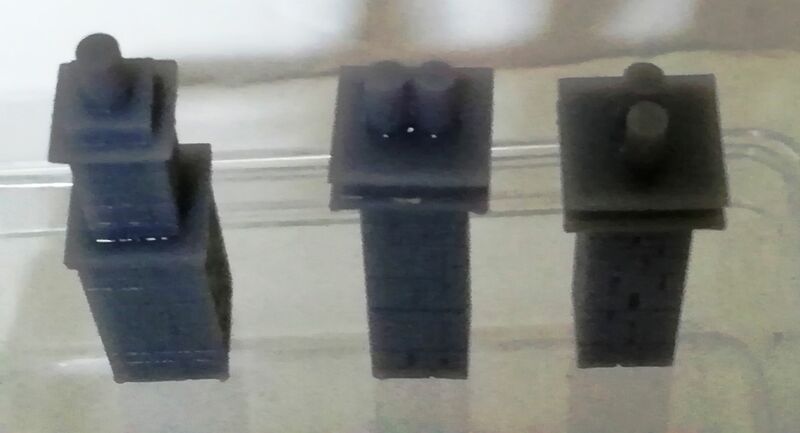 2 types----------1 x single pot (tall) = 2 x double pots.